The Shopping Channel has a Flash Sale right now! Tis the season to save for 12 hours only! 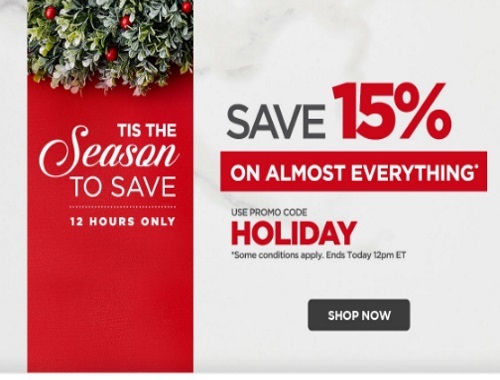 Save 15% off almost everything! Enter the promo code HOLIDAY at checkout to get the discount. Offer ends Monday, December 19, 2016 at 12pm ET.